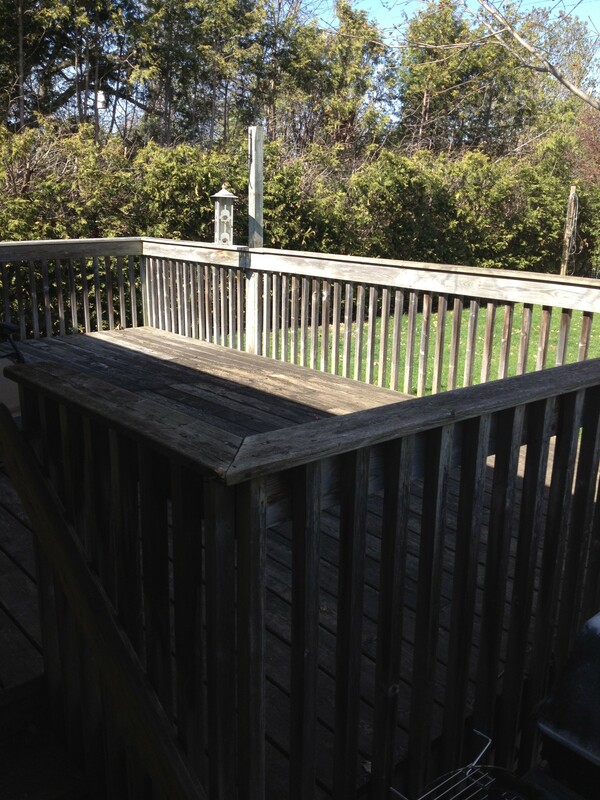 My and Heather‘s home came with this existing deck. It’s well built and solid. There was no reason to tear it down, but the wood had not been maintained and sitting within these railings felt like prison — without access to the yard. 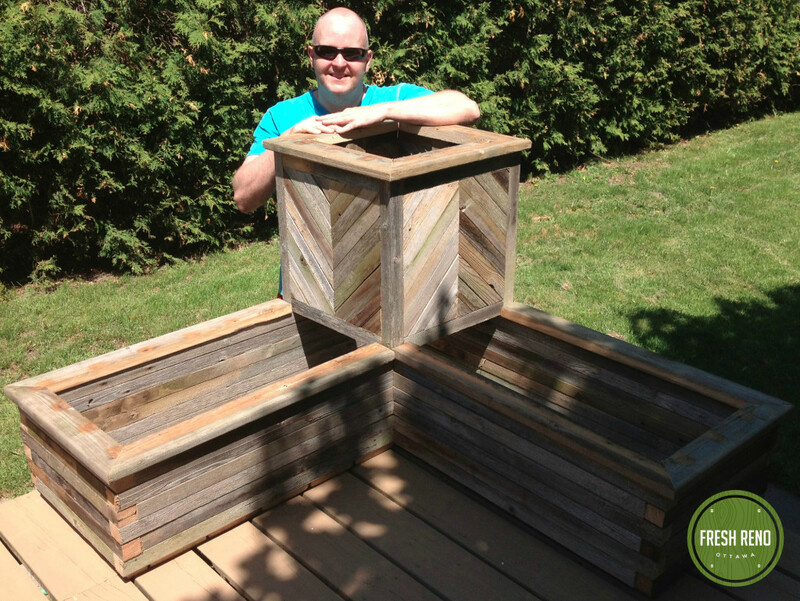 Heather came across some great planter box ideas on Pinterest and we decided to tear down the railing, then repurpose all the wood into planter boxes. 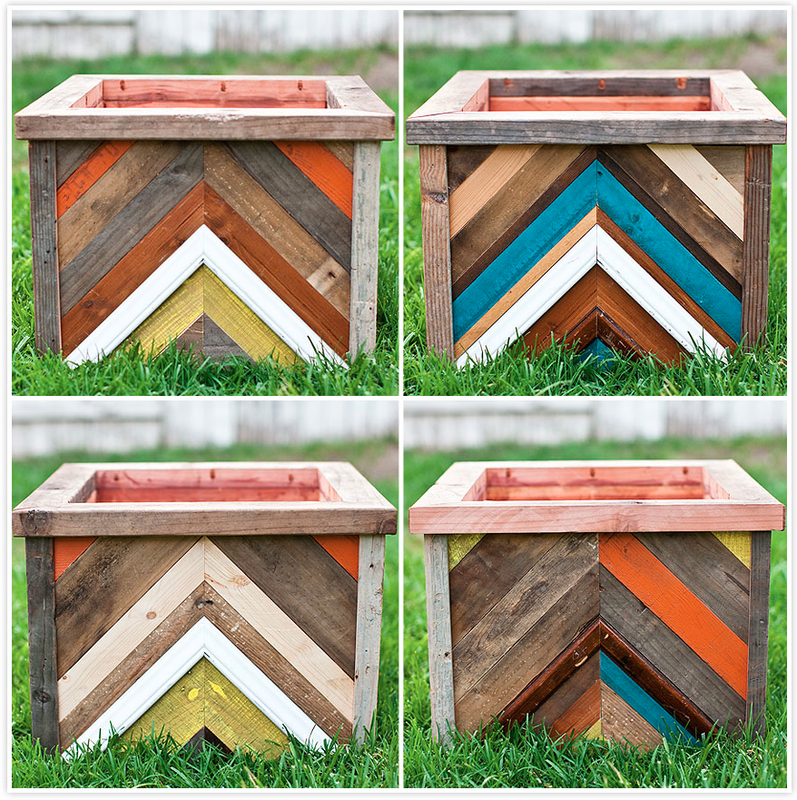 You can check all our backyard project ideas on Pinterest here. 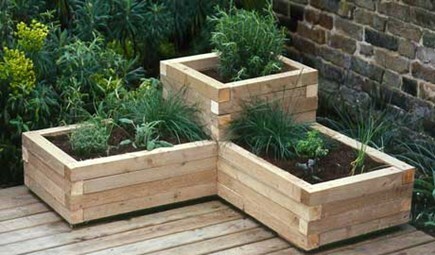 Inspiration photo #1, from Gardener’s World. Inspiration photo #2, from the 91214 blog. 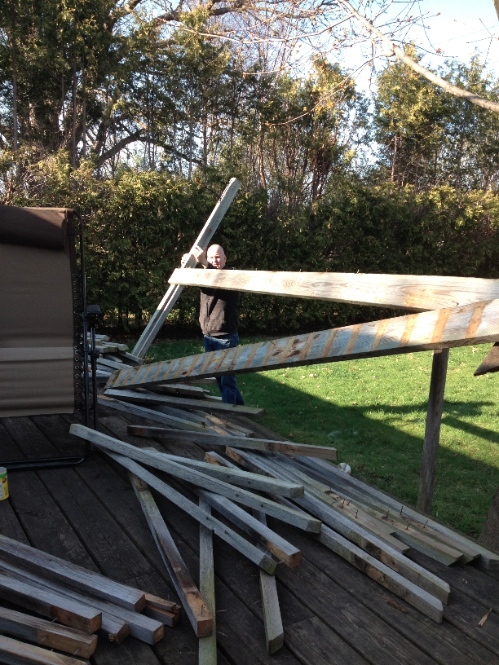 Pulling down old railing and saving all the lumber. 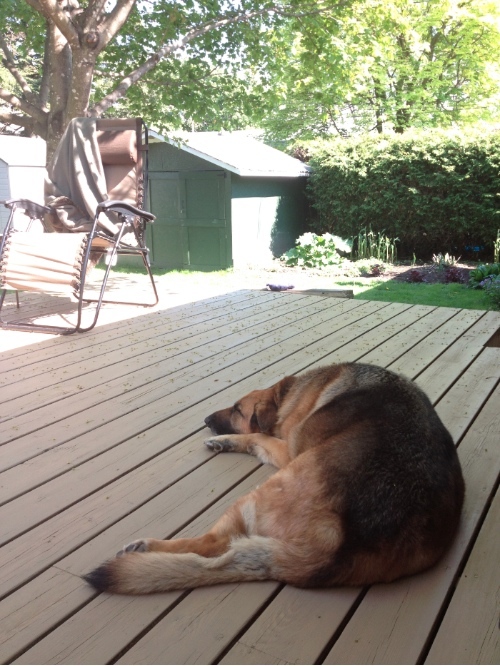 Foster dog Lexi approved of the railing-free deck and new wood stain. 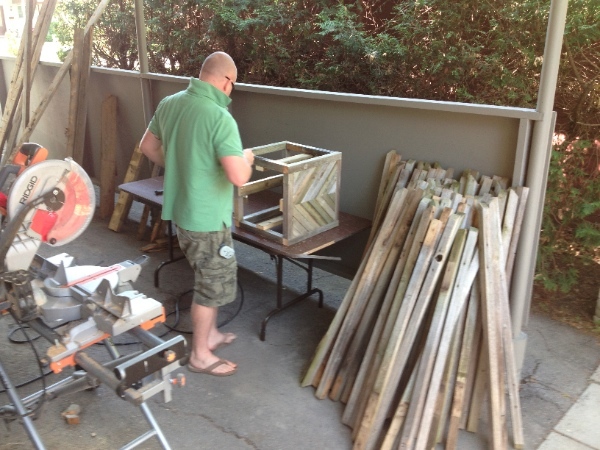 Planter box building gets underway, making use of the old railing. 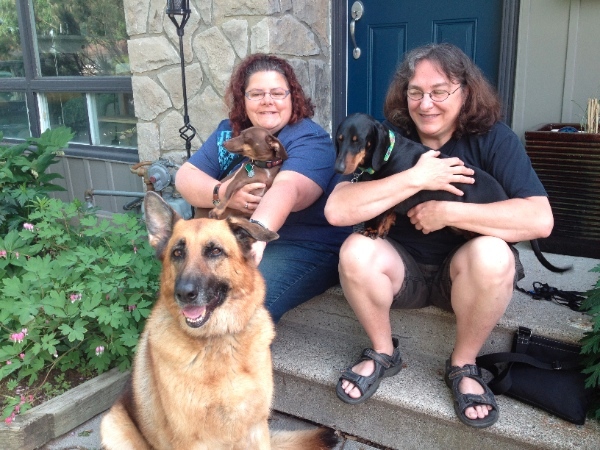 During the planter box building project, Lexi got adopted by a fantastic family. The planter came out great. I made another one (one for each the corner), then set to work on stairs for better access to the yard, and of course railings to keep us safe.